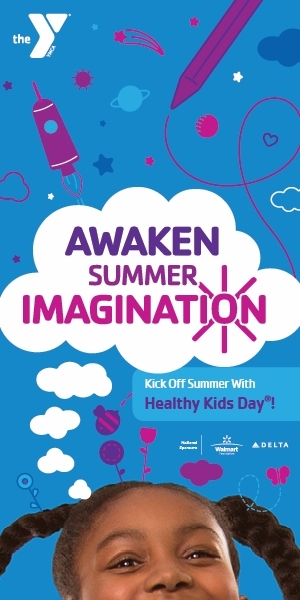 Nothing charges kids up for the summer like Healthy Kids Day! This is the Y's official start to the best summer ever! So make sure your kids get the most out of this summer...in spirit, mind and body. Summer is the time for kids to get up, get out, and grow. But for some kids, exposure to activities that stimulate the body and mind ends with the school year. In fact, research shows that kids are prone to gain more weight and fall behind in studies over summer vacation. A child's development is never on vacation. Plan ahead so that day after day is filled with the potential for growth, achievement, fitness...and fun! HEALTHY KIDS DAY is a reminder not to let children idle away their summer days. Instead, charge them with their potential and make this their best summer ever by keeping kids active and learning. HEALTHY KIDS DAY is THE day for kids to get a jump on a summer full of activities, from sports to crafts to learning, that will keep them growing and achieving. Inspire your kid(s) and family to keep your bodies and minds active this summer at Healthy Kids Day. On April 21, the Y will celebrate Healthy Kids Day®, our national initiative to improve the health and well-being of kids. Come and join our YMCA staff and members from your community on a day that will be filled with fun! These events are FREE and open to public. Learn how to stay active, learning, and healthy this summer at Healthy Kids Day at each of our 3 locations.